Aluminum Frame Display Case - Free Shipping! Beautifully display collectibles and memorabilia! Plenty of lighting! Includes four built in halogen lights in canopy and seven adjustable spotlights. Made to order in your choice of several colors. Perfect for museums, schools and universities. Ships fully assembled. Shpg. wt. 387 lbs. PRICE INCLUDES SHIPPING! (Truck shipment - See Terms & Conditions). Please allow 3-4 weeks for delivery. * Tempered glass on all four sides with option to upgrade to mirrored back. 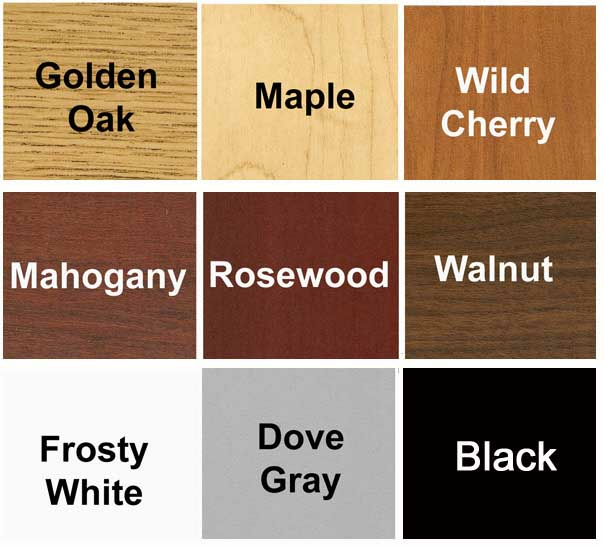 * Choose from 9 laminate colors for pedestal base & cornice and 3 frame finishes. * Locking sliding doors (plunger lock). 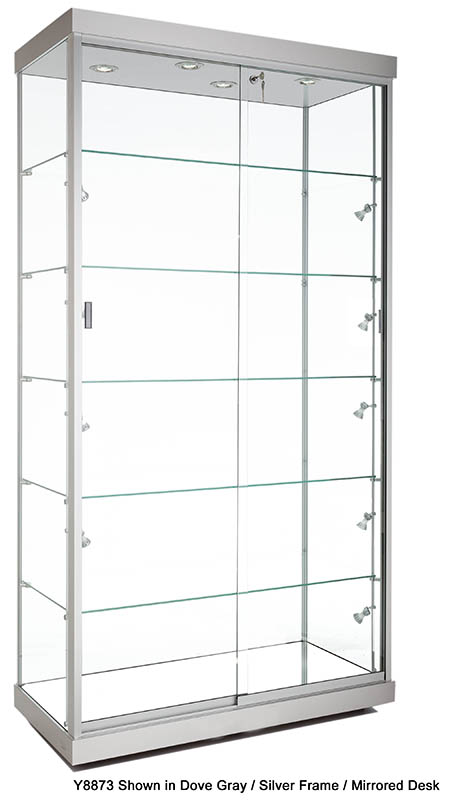 * Five, 1/4� thick adjustable glass shelves. * Includes two side LED spot lights for each shelf except top shelf. 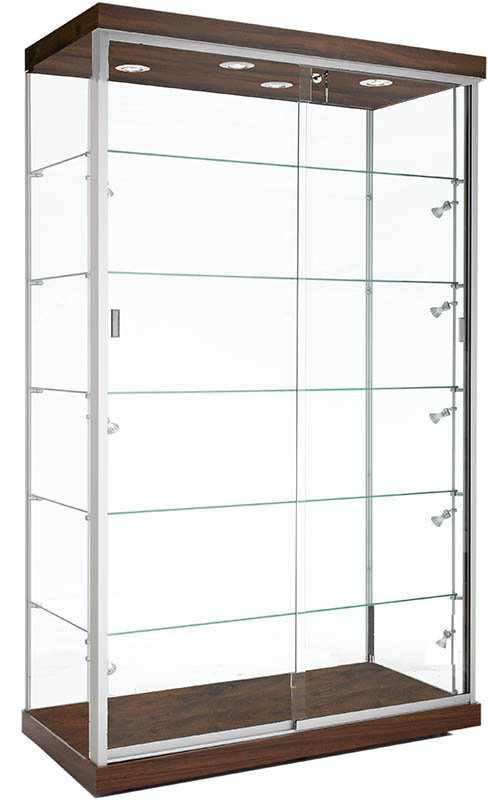 * Glass Display Area measures 71"H.
Same display case as shown above but in a wider, 48" version. Ships fully assembled. 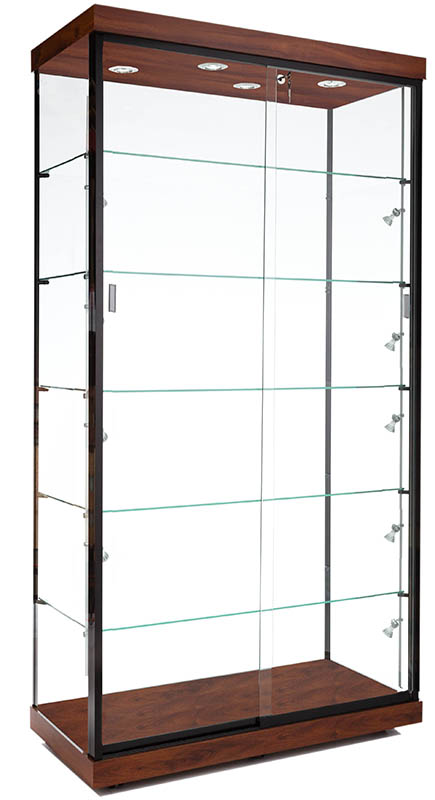 Measures 48"W x 19-3/4"D x 78-1/2"H overall. Shpg. wt. 451 lbs. Ships assembled. PRICE INCLUDES SHIPPING! (Truck shipment - See Terms & Conditions).